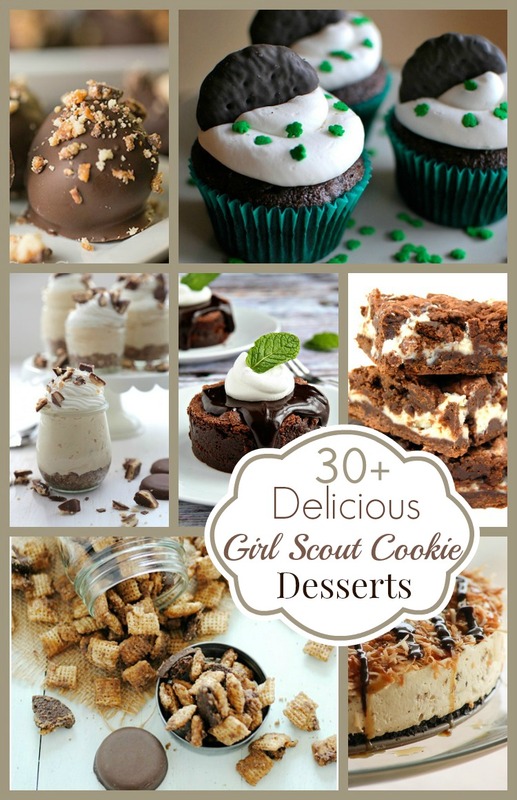 Girl Scout Cookie Dessert Round Up! 30+ Recipes! How many boxes of Girl Scout Cookies did you buy??? We succumbed and purchased about 6 boxes yes 6 boxes!! We absolutely love Thin Mints, Samoas and Tag Alongs!!! Well today I have a fantastic round up of Girl Scout Cookie inspired desserts!!! So get out your whisk and mixer and try one or two or all 30+ desserts!!! They are all simply delicious!!! Ok which one do you want to try first?